Not to long ago I talked about my favorite Christmas movies! 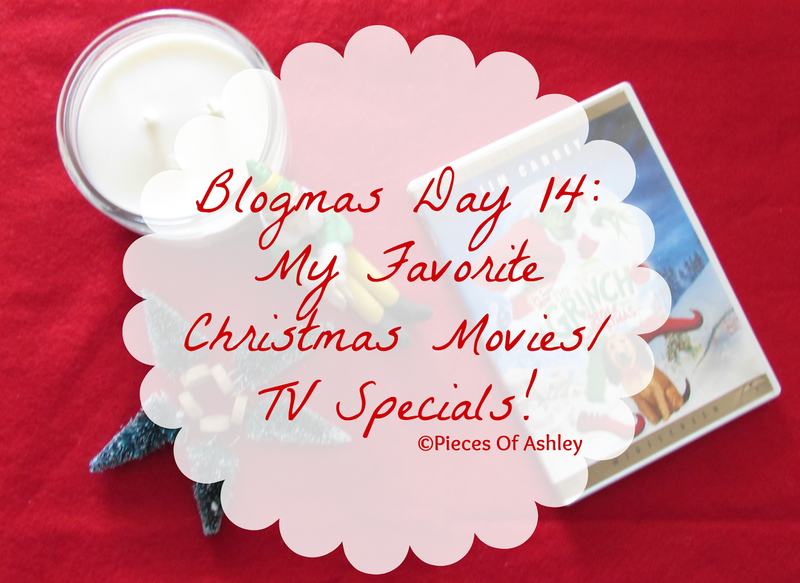 If you want to check that post out click here My Favorite Christmas Movies! Believe it or not I was just getting started. I'm a sucker when it comes to Holiday movies and TV specials. I can watch them over and over again. These movies never get old with me and it definitely gets me into the holiday spirit! Some of these movies can be found on Netflix, so I will let you know which ones. I know what you're thinking, but please don't judge me! This 2000 cartoon special has become a favorite of mine, since I was a kid. Again please don't judge. Basically, the grandma got run over by Santa's sleigh/ Reindeer. Because she disappeared out of the blue and everyone thought she was gone, cousin Mel took advantage of the situation. She wanted to sell the grandma's store by sabotaging her popular fruit cake, hoping no one would come to the store forcing her to go out of business. On top of that, Santa was accused of running grandma over. Her grandson Jake went on a mission to find her, prove Santa was innocent and stop Cousin Mel. It used to come on the WB now CW and Cartoon Network. But I'm pretty sure you'll find it on the internet somewhere. Who doesn't love Charlie Brown, Snoopy and the gang! This 1965 Christmas special is definitely a classic and it comes on ABC channel 7 around this time. This 1970 TV special is one of my mom's favorites and it has become a favorite for my sister and I! My mom's favorite part is when Santa Claus sings "Put One Foot In Front Of The Other"! Although I know the outcome of this 1969 TV special, it still makes me sad. I mean the thought of Frosty melting is terrible. This 1946 film starring James Stewart is truly a classic and one of my favorite films! This movie has a lesson to be learned and it always brings tears to my eyes. It makes me realize how precious life is and that it shouldn't be taken for granted. We all have should cherish our loved ones dearly and to be grateful for the things we have, instead of complaining about the things we don't. Sometimes it's hard to catch this movie, but it's airing on the USA network I think at 8:00pm eastern time on the east and 5:00pm on the west. This 2001 film rarely comes on anymore, but it's one I watched everytime it did. Basically this couple had an argument about infidelity and went separate ways that night. The wife runs outside trying to save their neighbors dog and she ends up getting hit by a car. That part always gets me. The husband gets a second chance by an angel to relive the last three days they have together, I guess to prevent this tragedy from happening. To sum it up he prevents this from happening by getting hit instead. Don't worry this movie had a happy ending, he didn't die. This 2007 film starring Idris Elba, Loretta Devine and more is a must watch around my house during Christmas time. It's about a family who experiences ups and downs like any other. This comes on multiple channels like: Starz, TBS and BET. This 1998 film is filled with a lot of emotions. Starring Michael Keaton and Kelly Preston, a dad dies in a car accident and comes back as a snowman. He tries to repair his relationship with his son and basically he does but he can't stay there. It was really sad but at least he got the chance to show his family how much he cared. These Christmas movies can be found on Netflix! The 1994 film is a classic that the whole family can enjoy and it will never get old. Plus it stars Tim Allen, it couldn't get any better than that. If by chance you didn't know, he's the voice of Buzz in the movie series "Toy Story". This is a 2015 television movie and it's also a romantic one at that. To sum it up for you, two strangers fall in love but obstacles stand in their way. I don't want to spoil it for you. This 2011 film is also about romance and one that is a must watch. Let's just say it begins and ends with a kiss on an elevator! This 2004 film starring Jamie Lee Curtis and Tim Allen consists of many laughs, but it also shows us what's really important in life. I definitely recommend you guys to watch both versions of this movie. I believe in Santa Claus do you? Basically watch these movies and you'll realize what I mean! This 2011 film can be seen on lifetime as well. A woman in her twenties finds a letter from a little asking Santa Claus for a wife for her father. The woman makes it her duty to complete this girl's wish. Although she had good intentions, all doesn't go as planned. But I promise this movie does have a good ending! This 2000 film is one of my absolute favorites, especially because we all hoped for snow days when we were younger! Anything can happen on a snow day and these characters have proven just that. I hope you enjoyed reading and let me know your favorite movies, that I should be watching!